Just when we thought that Xiaomi and LeEco are the leading Chinese brands, we get a surprise from Oppo. The Chinese brand has revealed that its F1 Plus smartphone has made a selling record. As per Oppo’s claims, it has been selling a unit once every 1.1 seconds. Benefitting from these sales, Oppo has emerged as the fourth biggest smartphone manufacturer worldwide. Oppo has shipped whopping 7 million F1 Plus units since its launch back in March. 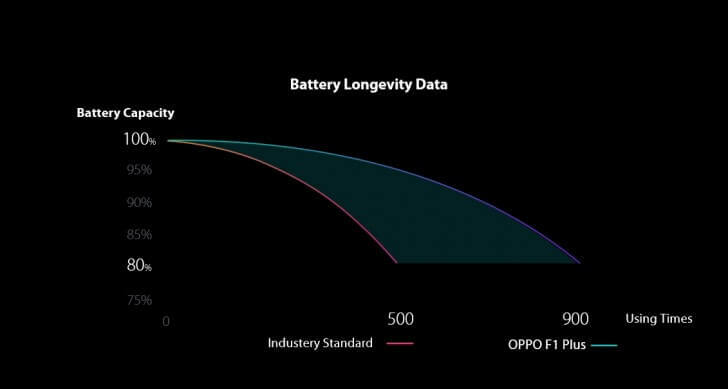 At a conference in Shenzhen, Alen Wu, Vice President for Oppo Mobiles, detailed about company’s emphasis on quality features such as the F1 Plus’s battery that is designed to last 1.8x longer than default longevity standards. T.c company. No OIS. No autofocus in front camera. The mediatek P10 chipset is also t.c. Chinese craps. I think more handsets will go go to service centres than the number of handsets which are sold. Really? Oppo phones are good in design, features and specs, but the only thing I miss in them(other Chinese manufacturers) is app drawer. I hope they listen to feedback of this segment too.